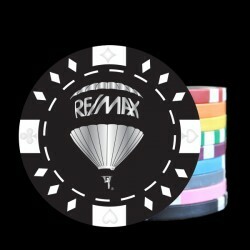 New at CustomMadeCasino.com : Our Custom Hot Stamped Diamond and Royal Suited Poker Chips. 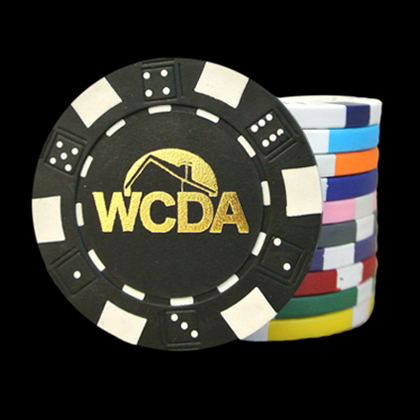 Custom Hot Stamped Poker Chips are the most economical personalized poker chips on the market. 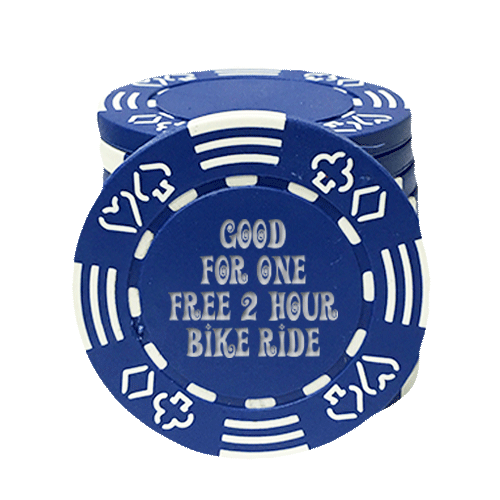 They are great for poker, drink tokens, business promotions, coupons and more. 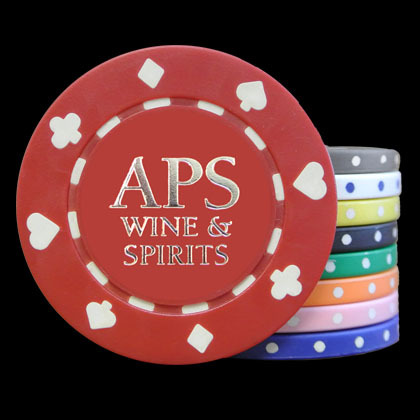 These Diamond and Royal Suited Poker Chips are printed with a foil stamp process at almost 300 degrees in a one color metallic imprint where a copper die is customized with your imprint and put into high end machinery where the imprint is put directly onto the poker chip. Because of our process it is less expensive for the ink and allows a very economical option if your imprint can be done in one color. The imprint is also very durable and will last for multiple years of use. We recommend this print process for those looking for a great product that is very economical for consistent use. View our full collection of hot stamp chips and our custom poker chip sets HERE. For those looking for a full color imprint, see our full color options here. 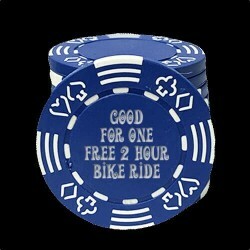 Custom Made Casino is the premier company in custom poker chips and personalized poker chip sets. With millions of chips produced ever year right here in America, CMC is the industry leader. 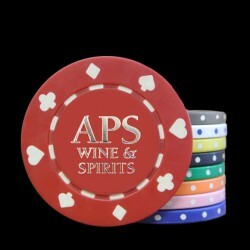 We look forward to creating the perfect custom poker chip for you or your business. Customize yours today!